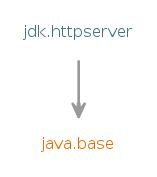 Provides a simple high-level Http server API, which can be used to build embedded HTTP servers. Provides a pluggable service provider interface, which allows the HTTP server implementation to be replaced with other implementations. Service provider class for HttpServer.